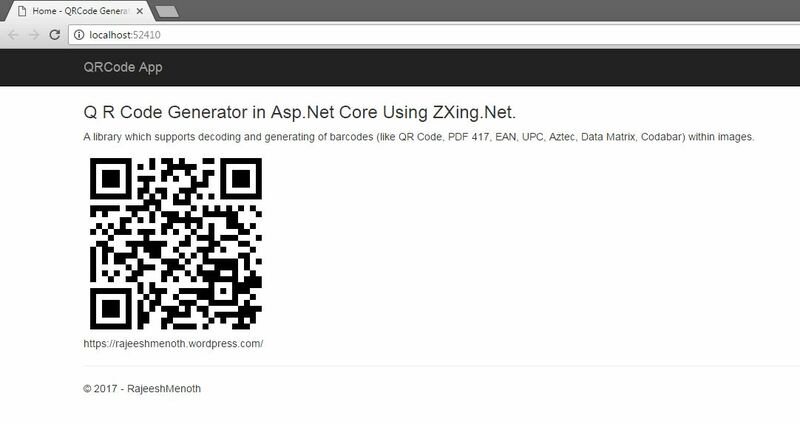 Can you please provide an example of decoding the barcodes as well in VS2017 using ZXing.Net. I’ve tried to set up the project ASP.NET Core and followed the https://github.com/micjahn/ZXing.Net/tree/master/Clients/ASP.NetCoreDemo demo. However, I am having trouble setting up the adapters for it. In https://github.com/micjahn/ZXing.Net/blob/master/Clients/ASP.NetCoreDemo/Controllers/HomeController.cs how should I include the adapters in VS2017 project so that the namespace such as ZXing.ImageSharp.BarcodeReader() does not throw namespace missing assembly error..
Not even tried but I will check it.